Have you ever seen someone with a beautiful smile and you just assumed that it was natural? How many times have you seen someone with one or more teeth that did not match the shade of the other teeth in their mouth? 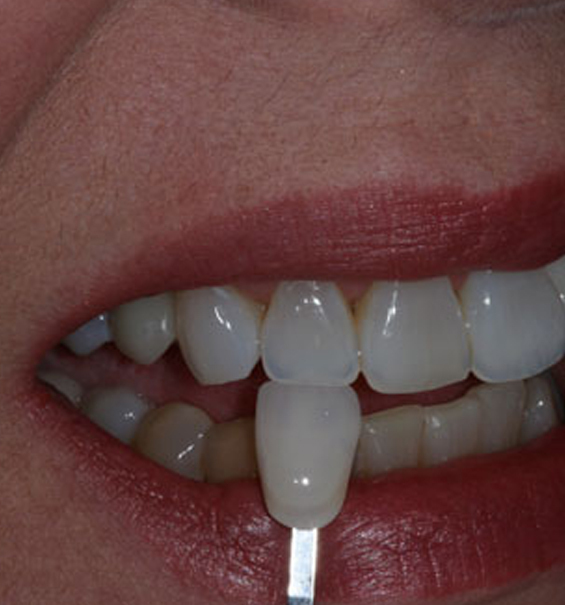 How do we custom blend shading for crowns, veneers or bridgework? We use photography to help communicate hue, value and chrome to our ceramic artist. Photographs are taken of shade tabs of porcelain held up to the teeth that we are trying to blend. These photographs and custom porcelain tabs are then sent to the ceramist to blend the shades of porcelain so that we get a beautiful natural result.